January 14. 2013 | By Valerie C.
Arc, Everything Everything’s follow up to 2010’s Man Alive is the band’s progression into a more polished sound. Use of electronic ambient noise is far less prominent on their sophomore effort. 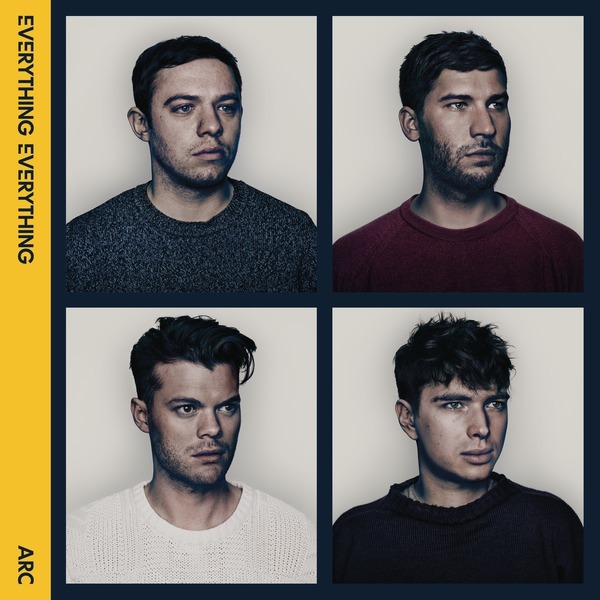 Overall, Everything Everything, have produced a satisfying indie-pop record in Arc. They’re not breaking any new ground here and that’s not necessarily a bad thing. But, it might just make fans of their much more adventurous previous record a bit nostalgic.